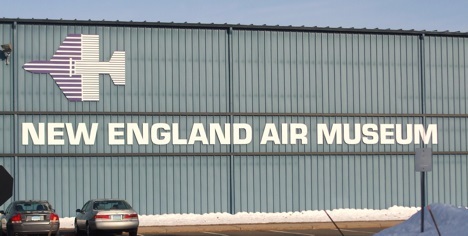 New England Air Museum is an aviation museum in Windsor Locks, Connecticut. The museum is home to over 60 aircraft and well over 20 helicopters that are shown to the public in three display hangars (there are also several storage only hangars). As well as aircraft, the museum also contains computer-based flight simulation equipment, ejection seats, missiles, and other aviation-related and aerospace-related material. 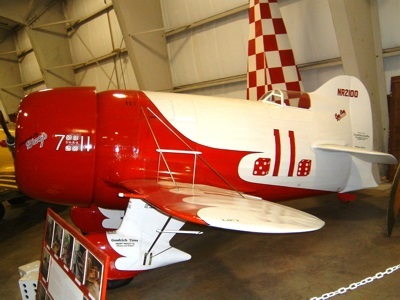 There are also exhibits on early French aviation, the the Kosciuszko Squadron, the 57th Fighter Group, and the Tuskegee Airmem, as well as the museum library which contains an extensive collection of books, technical manuals, and periodicals, as well as photographs, movies, microfilm, etc. Each year in June, FlightSimCon, an annual conference about flight simulation, is held at the museum.